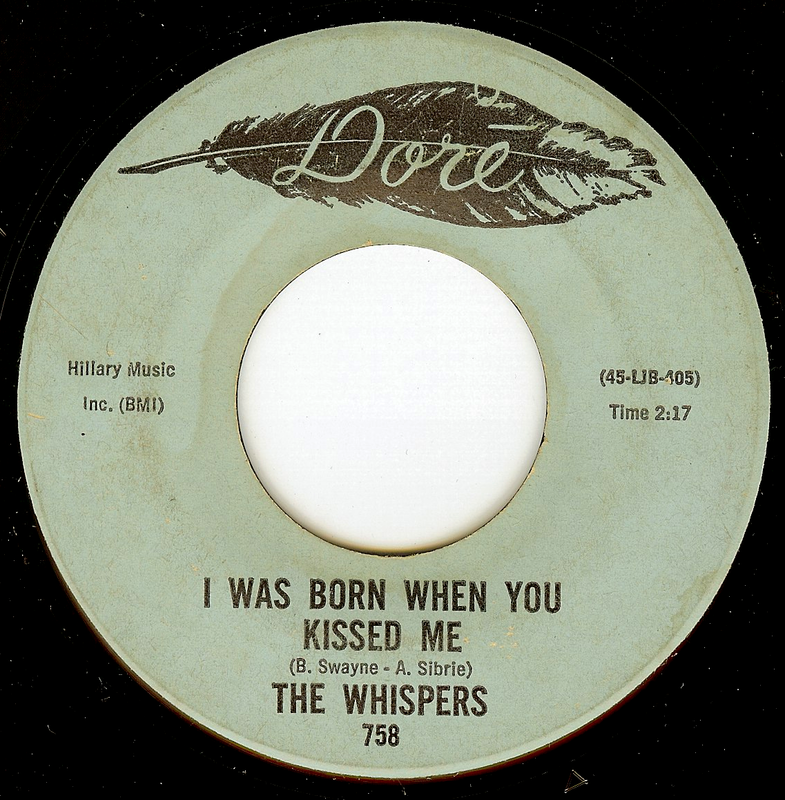 While so many vocal groups saw numerous lineup changes through their runs, The Whispers (one of the longest running of all) saw very few; the original core of twins Wallace "Scotty" & Walter Scott, Gordy Harmon, Marcus Hutson and Nicholas Caldwell remained intact from 1964 until 1973, when Gordy Harmon was replaced by Leaveil Degree. The group remained solid in their lineup until 1992, when Marcus Hutson left due to illness; he was not replaced, as the group chose to continue as a four piece. The group was formed in the Watts section of Los Angeles, and with the exception of a brief period recording in Philadelphia, their entire career was spent recording in L.A. 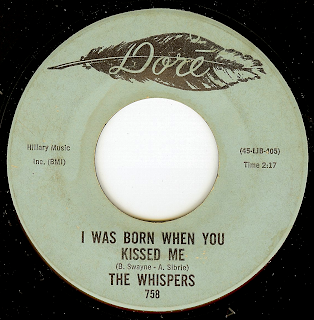 The Whispers harmony blend is the stuff of legend; their early singles from L.A based Dore records are some of the finest soul ballads of the era. This dreamy track is yet another great example of the group's sound; framed by a fabulous lead vocal from Scotty Scott, the group harmonies are simply divine. I look forward to hearing this. Will you be posting sound for this soon? Thanks. Mod Chicago. This will be the last time TONIGHT. THE JOE CUBA SEXTET - SOCK IT TO ME b/w OH YEAH!